Slice the tofu thinly so it can fit nicely in a sandwich (my tofu was about 8mm thick). Rub herbs and olive oil on all sides of tofu. Slice the capsicum in quarters. Bake tofu and capsicum on a lined tray for 15 minutes or until the tofu is golden brown and the capsicum has deepened in colour. For the onion, saute in a small fry pan with a dash of water for 5 minutes on high. When the onion has softened, add the balsamic vinegar and saute for 1 minute. Bring it down to medium-low heat and simmer/saute for 10 minutes until caramelised and very soft. If you’re making your own pesto, toast the garlic and pine nuts in a small frypan on medium heat, continuously stirring so it doesn’t burn. When the garlic and pine nuts are golden brown, add to a food processor with the basil and olive oil. 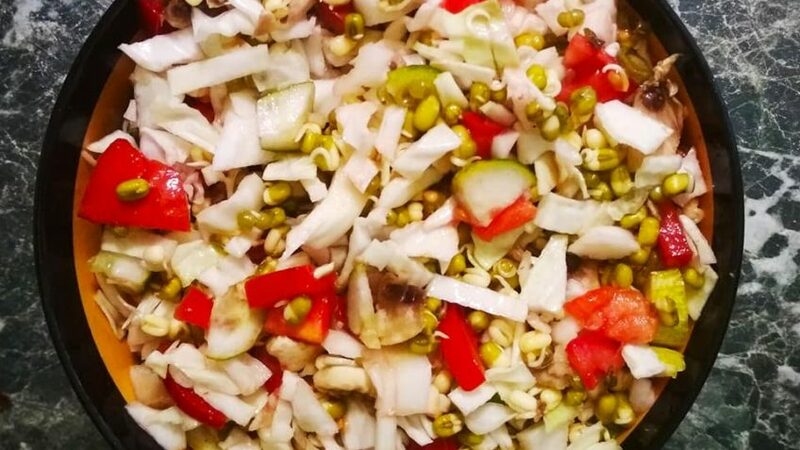 Process until it forms a pesto or paste-like consistency. 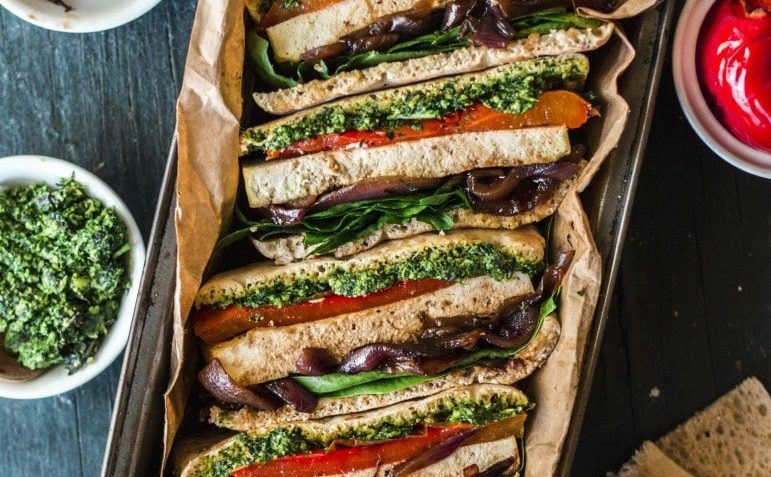 Assemble the sandwiches with the pesto, spinach leaves, tofu and capsicum and enjoy!